Product prices and availability are accurate as of 2019-04-04 23:27:20 EDT and are subject to change. Any price and availability information displayed on http://www.amazon.com/ at the time of purchase will apply to the purchase of this product. 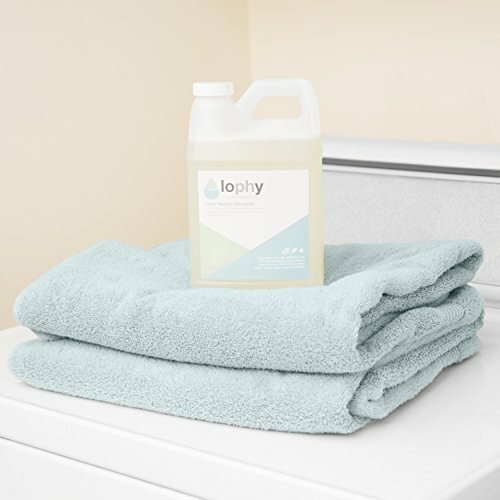 Get the clean you crave with Lophy Free & Clear, Low pH Laundry Detergent. 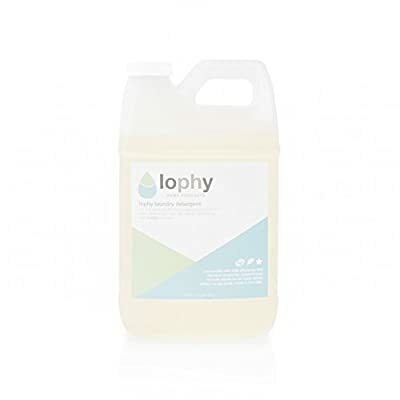 Lophy Home Products offers this concentrated, low pH formula for unmatched clean, bright, and residue free laundry. While most detergents on the market have a pH of 9, our formula has a low pH of 5. Our low pH detergent is powerful and pervasive, soaking deep into fabrics for a clean you can see and feel. There's no fading and no residue left on your clothing, linens or towels. With no added brighteners, dyes or fragrances, our free & clear formula makes a great baby detergent and is perfect for sensitive skin. For those with skin conditions like eczema to those with allergy sensitive or irritated skin, our pure, gentle soap washes out completely so you feel comfortable in your clothes. The unique properties of our Low PH formula make Lophy tough on stains for amazing results. The liquid detergent works equally as well with hot and cold water, deeply penetrating fabric, working out stains and leaving your clothing bright and clean without fading them. 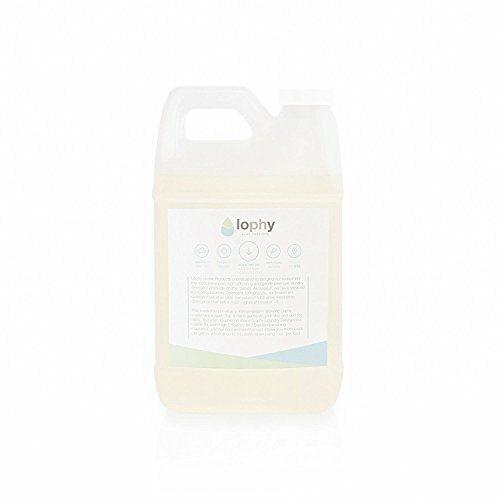 With 64 loads in each 64oz bottle, Lophy is one of the most cost efficient detergents on the market. Use less detergent per wash and get better results. Our formula can also be used with both high efficiency and standard machines. We know that making the switch to a new brand of detergent is a vote of trust in our formula, and won't don't take that lightly. Lophy Home Products offers our guaranteed that you will love your new low pH detergent. If it doesn't live up to the hype, contact us and we'll issue a full and prompt refund.